This is an odd book. It was buried on book mountain and I can’t remember what prompted me to buy it. Perhaps it was one of those sent to me by a book club that I never bothered to send back. 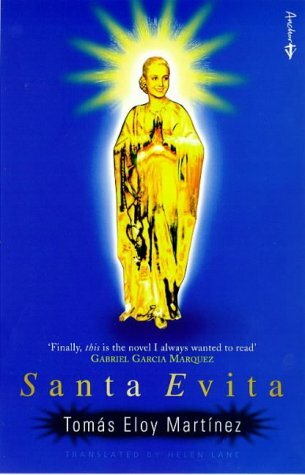 Santa Evita by Tomás Eloy Martínez (trans. Helen Lane) is a story about what happened to the body of Eva Peron after she died. It’s based on some fact, the papers of various people involved, some parts are fiction, and some parts are the ruminations of the author on the process of writing the book. Which parts are which are isn’t always clear, fact and fiction are smoothly blended. Apparently the germination of the story was over many years and it was a difficult book to write. After Eva Peron died of cancer her body was embalmed. The Argentine Secret Service had been spying on her for years and after the Peron government fell, they took charge of the body. Three copies were made. The government didn’t want Eva’s burial place to become a shrine and the cult of Evita to have a focal point for the opposition. Care of the body was entrusted to a colonel in the Secret Service. Mysterious events seem to happen around Evita and she has a strange impact on those to whom her care is entrusted. Santa Evita is a strange book. 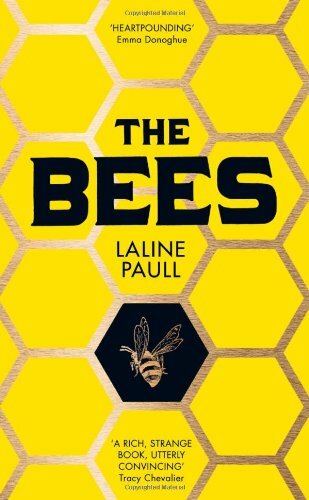 The story itself is a weird one, encompassing the need of people to have heroes, and how fame and grief interact. However, it’s not really about Evita. Most of it focuses on the Colonel who spied on her while she was alive and took care of her embalmed body when she was dead. It’s an exploration of secrecy and madness. It’s a beautifully written (and translated) book, mystical and surreal, and proving reality makes much less sense than fiction. I found the parts about Martínez’ writing process fascinating. It made me really think about the structure of the novel and how that might be more flexible than commercial fiction often allows. This is a strange and wonderful book. 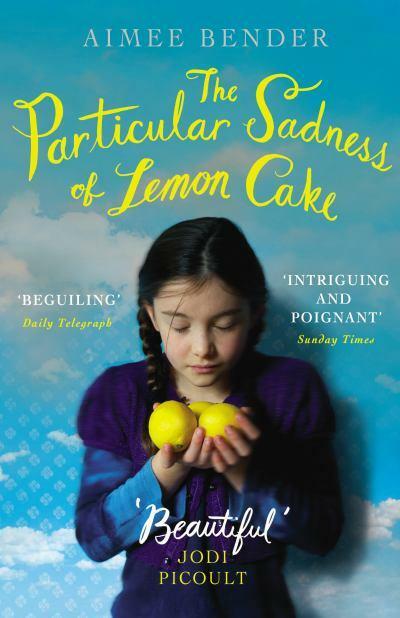 The first thing to say about The Particular Sadness of Lemon Cake by Aimee Bender is that it has a great title. It’s evocative and intriguing, the rhythm is good and is the sort of title that makes me wish I had a talent for titling things. At the age of nine Rose discovers she can taste emotions in the food she eats. If it is manufactured food she can tell all the layers that contributed to creating it. If it is homemade she can taste how the person who made it was feeling. She finds that people around her feel things that they don’t display on the surface and she struggles to work out a way to manage it. Rose’s brother Joseph is quiet and reclusive. As he reaches his late teens he starts to disappear in mysterious ways. Their mother is frantic and their father is distant. Eventually Joseph disappears and doesn’t come back. Rose feels she can’t move out now, but gradually she finds a way to use her gift and have a life of her own. It’s an easy read but the title really is the best thing about it. The powers that Rose and her brother have are not explained until the end when their father reveals that his father had a similar power. I found this element of the book unsatisfying. I could have accepted any number of causes had an effort been made to provide one. The description of the emotions in the food could have been richer and more detailed. I thought that they were flat and I found them disappointing. What I did like was the concept; it’s an interesting idea. The execution didn’t do it justice and didn’t live up to the title. I wasn’t keen on the writing style, even acknowledging that anything read after Babel Tower would suffer by comparison, and I found it difficult to engage with the characters. It was not so bad that I couldn’t finish it but I would certainly avoid anything else by this author.